Switches open and close electrical circuits, allowing power to flow through lights and appliances. At one time, they were pretty simple—just a toggle you flipped on and off. But things have changed. 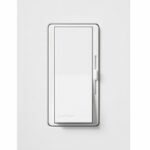 As our needs for energy efficiency have evolved and technology has improved, light switches have undergone a renaissance. New switches offer a wide range of control, such as full-range dimming, a delayed fade from on to off, and dimmer switches that remember a range of preset settings. Some occupancy sensor switches automatically turn lights on when a person enters a room and then off when the person exits. Central lighting controls can be programmed to operate groups or banks of lights throughout the house as the needs for lighting in various areas change throughout the day. Lights, fans, and other electrical devices can be controlled with hand-held, infrared, wireless remotes. And there are switches designed to control compact fluorescent, fluorescent and halogen lights. Some switches are operated with keys, timers, or photoelectric eyes that sense daylight. Other switches are paired up with electrical outlets (“combination” switches). You say it’s hard to find a switch in the dark? For that situation, you need a switch with a pilot light. Outdoor switches, mounted in a special waterproof electrical box, are operated with a lever that protects against shock. 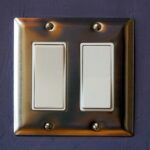 In this section of HomeTips, we’ll take a closer look at these many different types of light switches. The simplest and most common light switch is actually referred to by hardware dealers and electricians as a “single-pole light switch.” With a single-pole light switch, flipping the lever up completes the circuit, turning lights or appliances on, and flipping it down breaks the circuit, turning lights or receptacles off. A single-pole switch has two brass terminal screws on the side that receive the black and white wires of the circuit. (The number of terminal screws identifies the type of switch.) Modern single-pole switches also have a green grounding screw (not shown) that connects to the circuit’s ground wire. 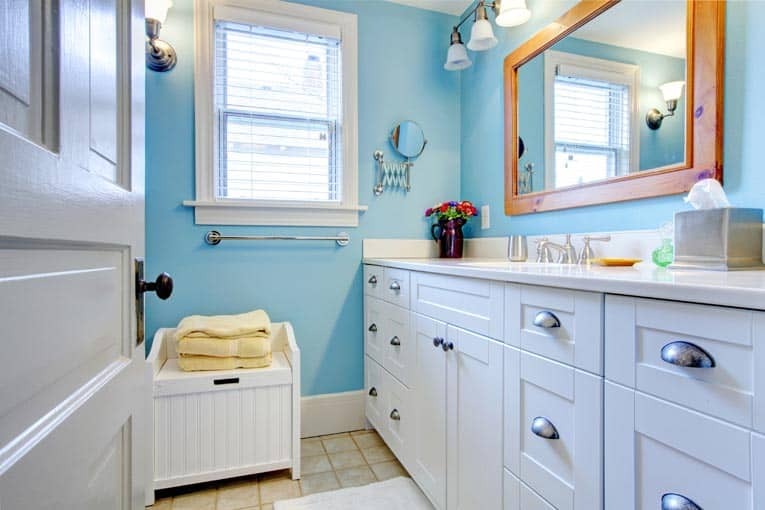 With a single-pole light switch, flipping the lever up completes the circuit, turning lights or appliances on, and flipping it down breaks the circuit, turning lights or receptacles off. A single-pole switch has two brass terminal screws on the side. The type of switch that will operate hallway lights from either end of the hallway is called a three-way light switch; it has an extra terminal. There are places where you want to be able to control a light—or a series of lights—from more than one location. Three-way switches, traditionally used at each end of a stairway or hallway, are the answer. A three-way switch has three terminal screws, may have a green grounding screw, and has no “on” or “off” markings on the toggle. Three-way dimmers will work in those same places. A standard three-way dimming control can be mounted at one end of the hallway or staircase, or a special two-location dimming control is able to dim from either end of the hall or stair. Four-way on/off switches may be combined with three-way dimmers or switches when you want control of lights from three or more different locations. A four-way switch has four terminals, may have a green grounding screw, and has no markings on the toggle.